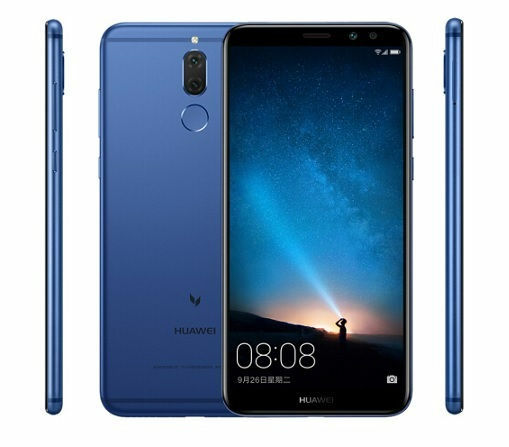 Finally, after two months of its launch, Huawei Mate 10 Lite aka Maimang 6 is now available in Aurora Blue colour variant. Now there are three colours in which Mate 10 Lite is available – Streamer Gold, Obsidian Black and Aurora Blue. Huawei, at the time of launching the Mate 10 Lite announced that Mate 10 Lite will arrive in three colour variants, but only two Black and Gold were launched initially leaving behind the Blue colour. But now, at the launching of Honor V10, the Aurora Blue colour of Mate 10 Lite is also unveiled. It has been priced at 2,399 Yuan ($363) the same as its black and gold siblings and is available in 4GB RAM and 64GB storage version. Other specifications include a 5.9” (2160x1080p) display with 18:9 aspect ratio. It packs a 3,340mAh battery. Android 7.0 (Nougat) running Huawei Mate 10 Lite houses dual camera setup at the front and at the rear as well. The back camera comes with 16MP and 2MP, while the front selfie camera holds 13MP and 2MP. It’s worth noting that the Huawei Mate 10 Lite is also known by other names in different markets around the Globe, such as Honor 9i, Nova 2i and Maimang 6. You can grab the Huawei Mate 10 Lite from Vmall and JD.